The ancestors of dogs lived in highly organised social groups, in which group loyalty was the highest value. The leaders took every decision with the welfare of the pack in mind. The rest of the pack gave unconditional love to the leaders. Survival and success were the survival and success of the entire group, not of a particular individual. A dog that hasn’t been mis-trained considers its humans to be the leaders of the pack. The dog’s natural instinct is to love those humans whatever they do. 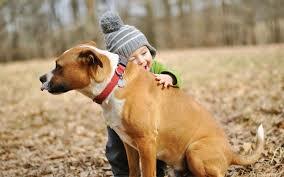 Even if the human is cruel or negligent, the dog’s love and loyalty is absolute. This doesn’t mean that the dog approves of whatever the human does. It will complain, sulk, show its disapproval — but always with unquestioned, unconditional love. Domestic cats descended from solitary hunters, for whom defence of territory, looking after one’s own welfare, was the highest value. Survival was a matter of keeping competitors out. A cat is capable of love, but it is very different from dog-love. It is “I love you for all the good things you do for me.” A cat showing love is the giving of a reward for good behaviour, very much conditional love. A cat’s human is part of the territory; an instrument for the cat’s welfare. That doesn’t mean it’s necessarily transferrable to any human, but cat love is a commercial transaction. Some humans naturally give dog love. When they belong to a group, they are unquestioningly loyal, and their actions are with the group’s best interests in mind. If someone important in their lives hurts or angers them, they don’t reject the offender, but react against the action while still loving the person. Interestingly, many such humans love cats. The cat’s inherent selfishness is not a negative, but just something for tolerant laughter. People who love like a dog don’t necessarily have a dog in their lives, and if they do, they are not necessarily good dog owners. They may make the mistake of allowing the dog to take the alpha role, and that’s a recipe for trouble. In the same way, people who love like a dog are caring parents, but not necessarily good parents. As well as loving unconditionally, the parent needs to be in charge, and firmly shape the child’s behaviours and attitudes. The parent must be the alpha, not the child (or the dog). A long term romantic relationship between two people who love like a dog will be contented, successful and satisfying. When troubles happen (they always do), the couple handles them with mutual respect and caring. There may be disagreement, even conflict, but handled with love. People who love like a cat may be very useful team members — as long as they can see personal benefits from their contribution to team welfare. “What’s in it for ME?” is an unwritten, perhaps unrecognised consideration in what they do. Their children may well grow into resentful adults with a chip on the shoulder. For them, a romantic relationship is definitely a trade. They can be good, loving partners — as long as they see that as the path that leads to the most self-reward. Because they are always grasping, they often find it difficult to stay in long term-rewarding, contented relationships, but, sadly, go from partner to partner, never understanding why things don’t last. Can we move from one kind of loving to another? Yes. Even if the style of loving is from infancy, it’s not inborn, but trained. It is a habit, and even lifelong habits can be changed. It takes work, and commitment, and lots of practice. If, all your life, you have habitually loved like a cat, then you will be persuaded by considering personal benefits. The benefits of switching to dog-like love are enormous. Yes. She KNOWS she is in charge, and nothing will convince her otherwise. Fortunately, her two humans practice dog love. I agree, Martina. My wife has a cat (who condescends to share her house with me). She is very loving… but thinks that she is the boss. She considers the two adults in her home as her servants, and loves one of them.